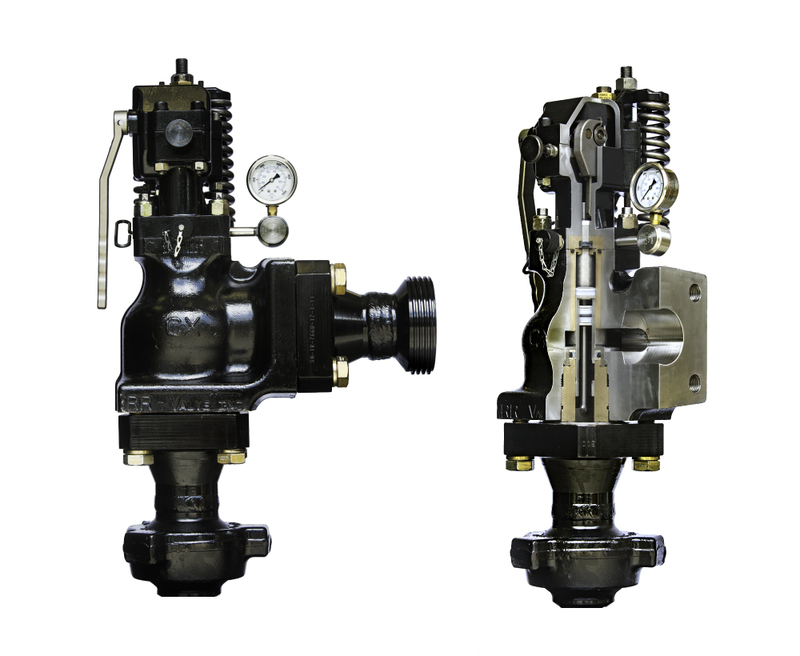 The patented X5000 SERIES II™ Reset Relief Valve is designed to protect equipment from high pressure spikes and automatically “pop off” to a full open position when the set pressure is reached. The X5000 Series II™ Reset Relief Valve is easy to adjust, easy to set triggering pressure, and easy to reset. The bonnet, top-loaded piston, and seals can be removed while the body remains in line. The X5000 Series II™ minimizes downtime and is easily repaired or rebuilt in the field. Our valves are DNV certified to 10,000 PSI. With computer modeling, high technology engineering, metallurgical and mechanical enhancements, RR Valve, Inc. has solved many of the industry’s frustrations with temperamental and unreliable Reset Relief Valves. 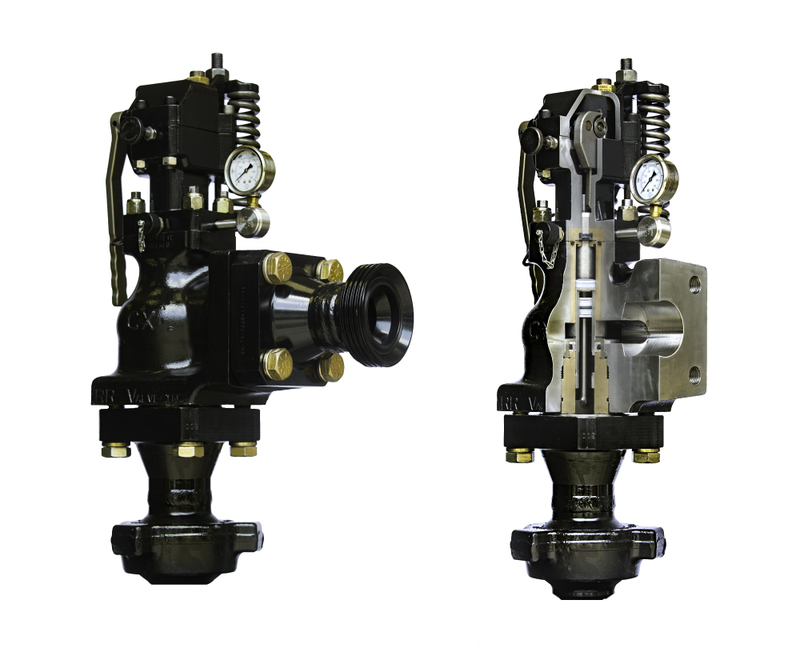 Our technical advances have replaced the commodity valve with a proven advanced engineered flow control device. Our valves are competitively priced and relatively maintenance free, resulting in negligible rebuild costs and downtime. At half the weight of the commodity valves, The X5000 Series II™ is safer to install and service, thus reducing the time and labor cost during maintenance. RR Valve will insure NO spare parts are needed for the first 2 years of service, regardless of the numbers of set-off! The patented X8000 SERIES II™ Reset Relief Valve is designed to protect equipment from high pressure spikes and automatically “pop off” to a full open position when the set pressure is reached. The X8000 Series II™ Reset Relief Valve is easy to adjust, easy to set triggering pressure, and easy to reset. The bonnet, top-loaded piston, and seals can be removed while the body remains in line. The X8000 Series II™ minimizes downtime and is easily repaired or rebuilt in the field. Our valves are DNV certified to 10,000 PSI. With computer modeling, high technology engineering, metallurgical and mechanical enhancements, RR Valve, Inc. has solved many of the industry’s frustrations with temperamental and unreliable Reset Relief Valves. Our technical advances have replaced the commodity valve with a proven advanced engineered flow control device. Our valves are competitively priced and relatively maintenance free, resulting in negligible rebuild costs and downtime. At half the weight of the commodity valves, The X8000 Series II™ is safer to install and service, thus reducing the time and labor cost during maintenance. RR Valve will insure NO spare parts are needed for the first 2 years of service, regardless of the numbers of set-offs! 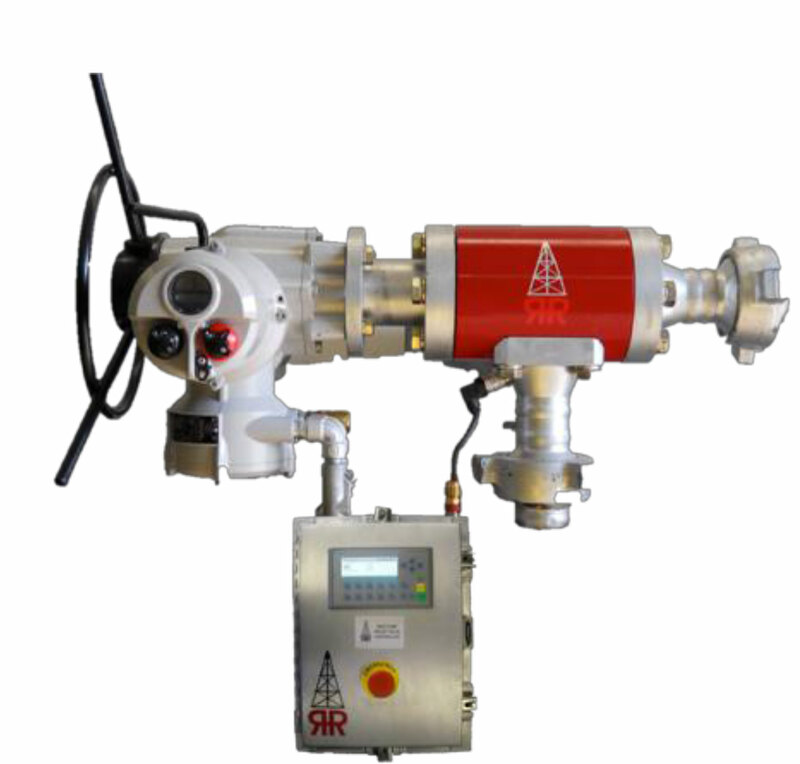 The multi-patented X12000 AUTOMATED™ Reset Relief Valve is designed to protect mud pumps from high pressure spikes from 1500-10000 PSI and automatically pop off to a full open position when the set pressure is reached. The longevity and reliability RR Valve is known for has now been fully automated reducing manpower cost and downtime. Reduced upgrade cost when valve is 1-Year Warranty for Valves upgraded by RR Valve, Inc. Reduced upgrade cost when valve is serviced/ refurbished by RR Valve, Inc.
1-Year Warranty for Valves upgraded by RR Valve, Inc. Reduced upgrade cost when valve is serviced/refurbished by RR Valve, Inc. The PLC X-15000 sets the standard for Automatic Modulating Relief Valves. 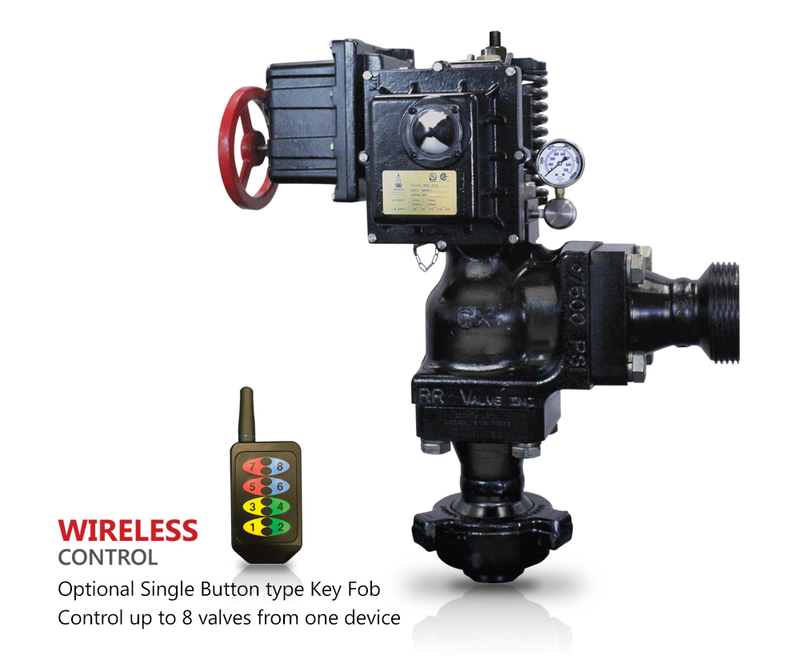 As a true smart valve, the PLC X-15000 is capable of providing real time data as well as remote operation. The PLC X-15000 is truly a “stand alone” electronically actuated relief valve. Without the need for pneumatic and hydraulic assistance for operation, the PLC X-15000 reduces excess cost and maintenance. The PLC X-15000 is capable of two programmable function modes. 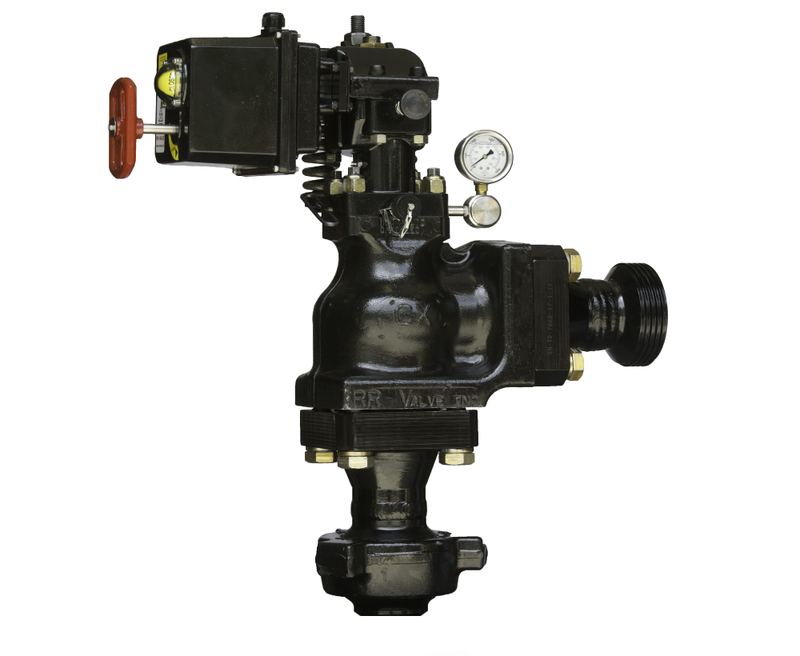 The valve can be programed to open fully at a set pressure, or can be programed as an automatic modulating valve. In modulating mode, the internal pressure sensor will allow the valve to open to relieve pressure and close to continue equipment operation without stoppage. With an operating range of 0 PSI to 10,000 PSI, the PLC X-15000 is a full range “stand alone” flow control product. Engineered and manufactured to the highest material and industry standards, The PLC X-15000 is a robust and reliable modulating flow control device. Containing only 12 moving parts, with no fragile couplings for pneumatic or hydraulic lines, installation and setup is easy and painless with little risk of damage.